It's new release time over at Delightful Challenges, this months new digi's are so much fun, go on over to the shop and take a look. Our sponsor of this week's challenge is Simon Says Stamp and they are generously offering a $20 gift certificate to their store as the prize for the random winner. Oh my goodness, WOW!! This looks absolutely amazing!! 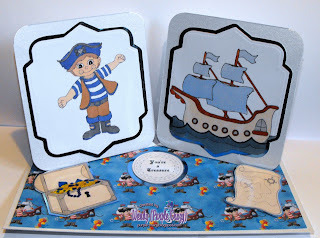 I love the pirate theme images, so perfect for little boys. Fab creation hun, just love those images fab!! Oh Wendy! This simply fantastic! I love it!!!! Fabulous Wendy, the card layout is so much fun!! Hi Wendy hope you are well. This is a lovely card and the images are such fun. Ahoy!! Perfect card for the little dude in you life. Fabulous card and thanks for joining us this week at I Did It Creations. We hope you will join us next week too. Fantastic card! Love the images! Thank you for playing with us at Paper Playtime! Great display, Wendy! Love your layout. Congrats on your new granddaughter too. What a treasure! Stunning card!! Thanks for joining us at Creative Inspirations Challenge! What an adorable card! I love the design. Oh! 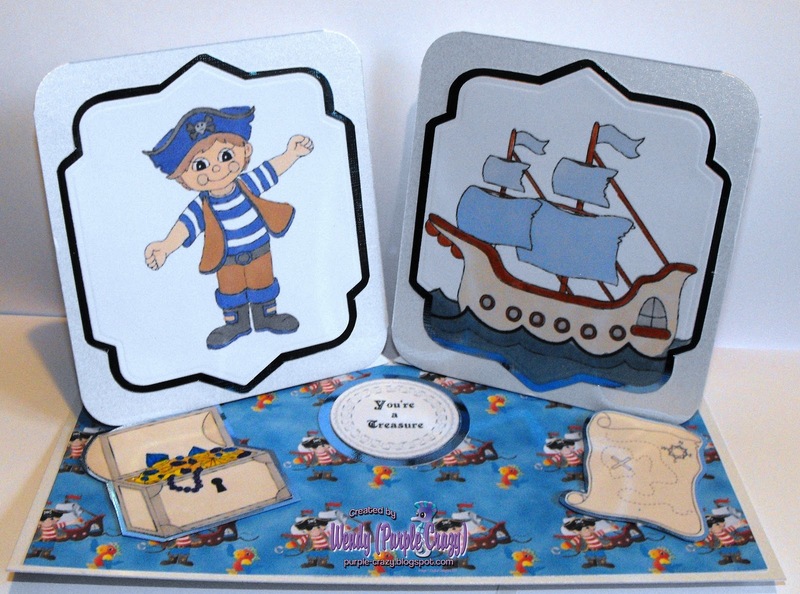 I just love these double easel cards and yours is fantatic!!! I'm so glad you were able to join us for our "For a Child" challenge at Aud Sentiments. What perfect cards for kids! Thanks for playing with Stamping Vacation!